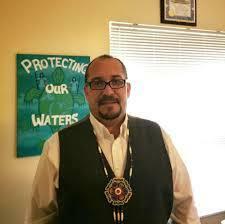 Desmond Berry, Natural Resources Department Manager for the Grand Traverse Band of Ottawa and Chippewa Indians. Lisa’s career spans over two decades of environmental and conservation advocacy in the political arena. 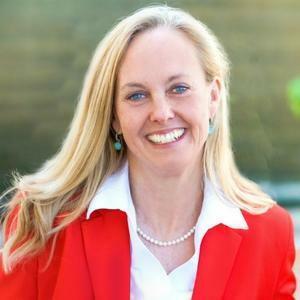 She is a nationally- recognized expert in non-profit growth and management and a leader in Great Lakes protections. Lisa is a three-time graduate from the University of Michigan, with a Bachelors Degree and two ensuing Masters Degrees in Social Work and Education. There are three statewide ballot proposals to be decided on November 6th. Two of them have to do with voting. Proposal 2 is being called “Voters Not Politicians” and aims to end gerrymandering. If approved, it would create an independent commission to redraw legislative and congressional district lines after each census. Proposal 3 is being called “Promote the Vote.” It would create greater access to voter registration and aims to increase voter participation. Both could have impacts on the overall health of Michigan’s environment. In this month’s “1st Friday” conversation, “Promote the Vote” leader and former Michigan ACLU executive director Kary Moss discusses the implications with WEMU’s David Fair and Michigan League of Conservation Voters executive director, Lisa Wozniak. PFAS contamination of Michigan waters is growing. It has forced a “Do Not Eat Fish” advisory for the Huron River and has been discovered in the Ann Arbor Municipal Drinking water supply. More new contamination sites are being discovered throughout Michigan and the rest of the country. WEMU has been exploring what is being done at the local and state levels over the past few weeks. In this month’s “1st Friday Focus on the Environment,” David Fair and Lisa Wozniak of the Michigan League of Conservation Voters explore what is being done at the federal level with Congresswoman Debbie Dingell. It began as a quest for knowledge and understanding of the issues surrounding the controversial Enbridge 'Line 5' that runs through the Straits of Mackinac. With the release of the 2nd part of his documentary on the subject, Ann Arbor's Barton Bund contends that a cause for concern has become a need for alarm. In this week's "Issues of the Environment," Bund discusses 'Line 5-Part 2: Violation of Public Trust."